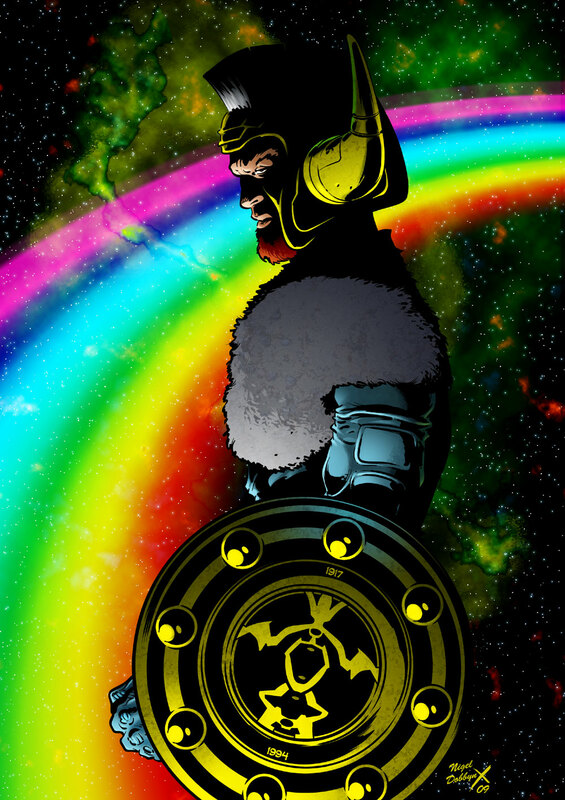 Posted November 13, 2009 in Heimdall, Nigel Dobbyn. Heimdall, the guardian sentry of Asgard by UK artist/colourist Nigel Dobbyn. Nigel kicked off his comics career at the British weekly 2000 A.D. illustrating such strips as Strontium Dog, Medivac 318, Red Razors and Judge Dredd. He has worked on a number of licensed characters for various publishers including Power Rangers, Teenage Mutant Hero Turtles and Digimon. Nigel’s more recent work includes The Beano’s Billy the Cat and Classical Comics’ adaptation of The Tempest. More of Nigel’s work can be seen at his website and blog and also at DeviantArt.